Every design project is a balancing act. Designers must manage an array of elements – composition, color, lighting, function, shape, and texture – in order to create a cohesive, compelling space. Whether you’re tackling a small scale room remodel or you’re designing an eye-catching poster, one of the biggest challenges both professional and amateur designers face is pulling all the elements together in a way that feels complete and creates an appropriate atmosphere. Color is frequently a hard-to-manage element, as its very nature resists accurate description, and its perception varies from person to person. Understanding a little color theory can help designers make the transition from adequate to outstanding, and mastering the use of high key and low key color is one of the best ways to get started. A low key scheme contains a range of dark value colors; high key contains a range of light value colors. 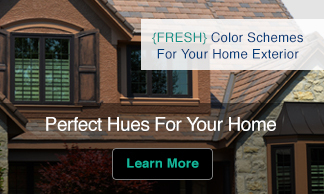 High key color describes the set of colors that range from mid-tone hues to white, while low key color spans the range from mid-tone to black. In general, the high key range provides upbeat options, while low key colors provide more dramatic tones. The role these colors play in a project is a major factor in the mood or atmosphere that’s created because color elicits emotion – helps to play up the feeling that a designer wants to evoke. Although color is only one of the design elements used to create feeling in a design, it’s one that can create the framework around which other elements can be employed. Establishing the mood or tone of a space should be one of the very first steps in the design process, as it’s related to function and guides many of the decisions that have to be made, beginning with the color palette. Color precision is frequently the single element that is at fault in designs whose moods are just slightly off – designs that almost work, but don’t quite. Discussions with clients about mood and high key or low key color should often happen early in the design process, as they’re fundamental to getting a project right, right from the start. So how does a discussion about high key or low key color work? Let’s play with some examples. We’ll start with some color theory everyone understands – we think of blue and other cool colors as calming. We tend to associate cool colors with tranquility and peace, so designers frequently use blues and greens when they’re creating a calm space. Seaglass tones – softened, worn green and lavender, along with greyed, low chroma blues are the classic palette used to evoke serenity. Like all colors, though, blue isn’t a single shade. Possibilities are endless – from high key, pale blues all the way along the continuum to deep, low key shades. High key turquoise can create a cheerful, bright space, while deep, saturated navy blue can evoke a dramatic atmosphere, particularly when it’s paired with other deep tone, low key colors or contrasted with neutral colors. Conversely, we think of warm colors – reds, yellow, and oranges – as sunny, dramatic shades. Using low key, deep gold and crimson can be dramatic, but a designer can create less stimulating spaces with higher toned, paler versions of warm colors. Particularly by using tones with little contrast, along with neutral shades, the impact and emotion of a warmer palette can be toned down. 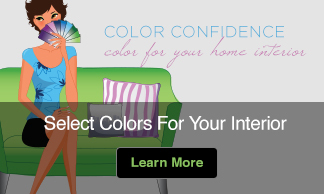 For example color consultants and interior designers don’t always have the luxury of working in ideal spaces. We frequently have to manage limitations like an abundance or shortage of natural light. We might be faced with quirky room sizes or shapes. We may have to create a cohesive mood in a space that’s used for multiple purposes. The deliberate use of high and low key color can be the key to making a difficult project work. A room that typically bakes in the summer sun is the perfect spot to use a high key cool palette to mitigate the warm atmosphere. A kitchen that doubles as an office could be overwhelmed by desk clutter and cooking paraphernalia, but an accent wall in a deep, low key color can draw the eye away from the less appealing elements in a space. Dark spaces – particularly ones with low ceilings – benefit from bright, high key shades that create the illusion of space and light. Whether you’re looking to create a particular mood, tie together multiple spaces with a cohesive palette, or solve a sticky graphic design problem, playing with high key and low key colors can help you bring balance to your design project. 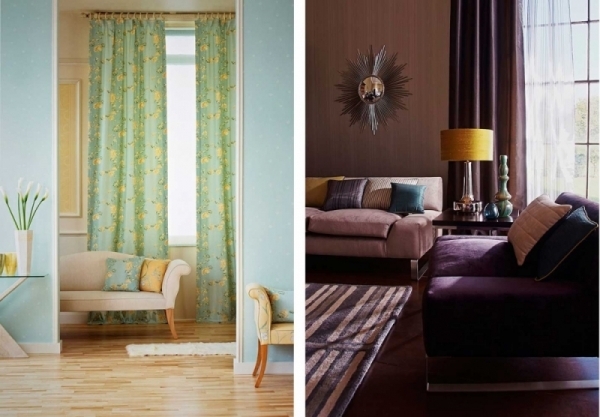 You may opt to flout the rules, using colors in an unexpected way for an edgy, unique atmosphere, or you may opt for a more traditional, classic approach, but understanding how high key and low key colors work lets you make your choices skillfully. Your visual examples in this article are very helpful. Kate, I really enjoy receiving your newsletter. It stimulates creativity, is very informative, and I always learn something practical that I can use immediately. Great to know you have learned something you can use. Thank you for your nice comment, Laura. Thank you, Mo! What a nice thing to say. I appreciate it. Love the idea of creating with and endless array of options, where colors go from lighter versions, high key, to darker ones, low key. I’ve realised that I tend to work in the extremes, not so often with middle key colors. I wonder if is a characteristic of my style or if it is some difficulty I have for working in mid tones…??? Don’t know, will have to think more about this… thanks! Being familiar with your work Felicitas I believe it is your style rather than a problem. It could be fun to try creating with middle key but don’t change you style. It is sensational! Thanks, Kate! I love to read your articles. My request is, and a suggestion for your “new direction”, is to branch out into contract colors for those of us in contract design. The firm I work for has an office in Silicon Valley. Our clients are very open to using non-standard colors for their offices. I would love to see your certification changed to a more generic designation to apply to contract color consulting, as well as residential consulting. Thanks for everything!